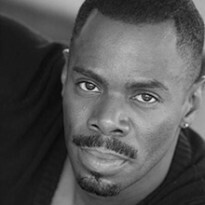 Colman Domingo was recently nominated for a 2014 Olivier Award for his performance in the final Kander and Ebb collaboration, The Scottsboro Boys at the Young Vic in London. Colman had reprised the role of ‘Mr. Bones’ that landed him a Tony Award nomination. While in London, he also starred in his award winning solo play A Boy and His Soul at the Tricycle Theatre. Additional Broadway and Off-Broadway Credits include: Passing Strange, Chicago (as Billy Flynn), The Wiz (Encores! ), Blood Knot (The Signature Theatre) and Wild With Happy (The Public). Film credits include the upcoming Paramount/Plan B Martin Luther King Jr. biopic Selma as Dr. Ralph Abernathy, Lincoln (Steven Spielberg), Lee Daniel’s The Butler, Red Hook Summer (Spike Lee) and Newlyweeds. Mr. Domingo has been honored with an OBIE, Lucille Lortel, GLAAD, Connecticut Critics Circle, Bay Area Theater Critics Circle and Drama League Awards. He has been nominated for the Drama Desk and Fred Astaire Awards. A dramatist, his plays have premiered at the Vineyard, The Public, Theatreworks and Baltimore Centerstage among others.